Water features are now designed to be more affordable for homeowners and easier to install for contractors. Technology and the growing popularity of small, pondless fountains have made water features easy for contractors to install and even easier for homeowners to maintain. Brian Helfrich has worked with ponds and water features for the past 20 years and can’t remember a time they’ve been as popular as they are right now. What used to be a large, costly undertaking—for both landscape contractors and their clients—is now a luxury attainable by most homeowners, regardless of their space or budget. Technological advancements have made ponds and water features easy for contractors to install and even easier for homeowners to maintain. Helfrich, vice president of construction for Aquascape, a manufacturer of water gardens and water features headquartered in St. Charles, Ill., doesn’t see things slowing down any time soon. 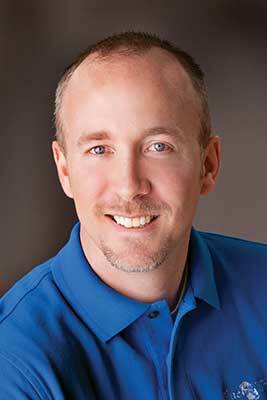 Kip Northrup, president of Blue Thumb, a manufacturer of water feature equipment and supplies based in Saginaw, Mich., agrees that trends in water features are moving toward units that are easier to install and maintain. 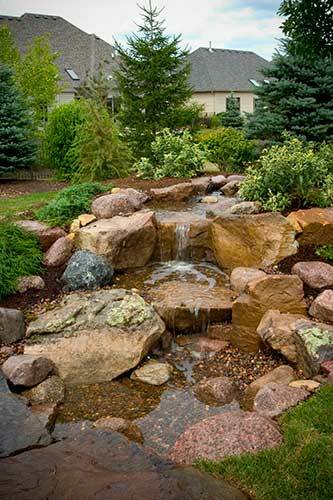 This movement includes the growing segment of fountains and pondless waterfalls, which provide the beauty and aesthetic of a waterfall without the maintenance of a pond. Northrup has seen a 30 percent increase in sales of fountains over the past three years, and he says colorful vase fountains and natural stone fountains are especially popular among homeowners. 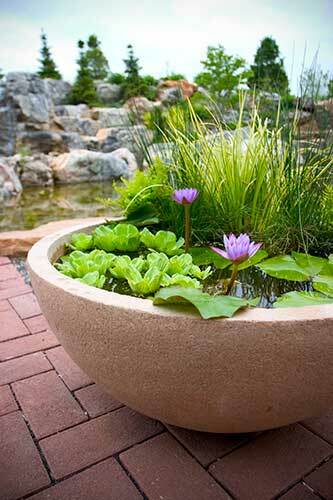 In terms of aesthetics, industry experts say trends are moving toward water features that have an organic look. Homeowners want water features that closely resemble ponds and waterfalls as they appear in nature and completely hide the liner, pump and filters. Helfrich agrees. Generally, he sees more formal, elaborate features installed in commercial settings to help create a “wow” factor. 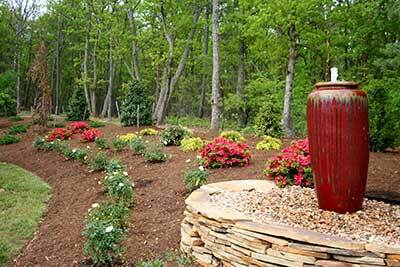 While industry trends are important, says Jeff Peterman, landscape construction manager at the full-service landscape firm Michael Hatcher & Associates in Olive Branch, Miss., it’s important to consider the customer’s aesthetic when building a water feature. The $8.7-million company, which has been installing ponds and water features since 1986, provides 55 percent construction services to a 42 percent residential, 58 percent commercial clientele and 45 percent maintenance services to a 30 percent residential, 70 percent commercial clientele. Since the company began installing ponds and water features, Peterman says nearly everything—including the building materials, the pump technology and the installation techniques—has changed. In recent years, the company has been installing more pondless and self-contained water features, which eliminate a potential hazard for children and pets, as well as a large portion of the maintenance. For customers who still prefer a pond, the company is building larger ponds with elaborate waterfalls and stream paths, Peterman says. Many of these projects have a single focal point, such as a boulder or an urn that spills water into an underground basin. 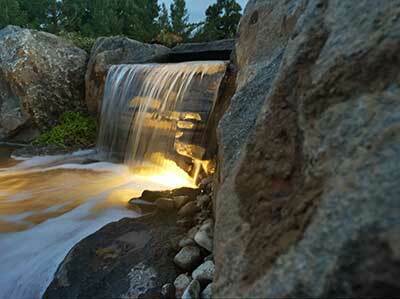 Water features are trending toward natural looks that incorporate indigenous elements. Technology is making ponds and water features more energy efficient and less expensive to operate, Helfrich says. Pump longevity has improved significantly in recent years, with these parts now lasting five to seven years, instead of one or two. Improvements in filter systems have reduced maintenance, and there are even automatic feeders that can take care of hungry fish. Helfrich predicts that the day homeowners can control their water features using their smartphones is not too far in the future. Peterman says the availability of these specialized water feature components and equipment is one of the biggest changes he’s seen in the industry. Helfrich says resources abound for contractors looking to add pond and water feature installation to their service offerings. Most manufacturers offer hands-on classes, videos and other online resources to teach installation techniques. While installing ponds takes skill and some artistic vision, Helfrich says fountains and pondless features can be installed in half a day by “two guys without an artistic bone in their body.” They also can be a great way to bring in additional revenue with a high profit margin.